Financial Accounting Software is complete business management solution for any small, medium or large-scale organizations that need to automate and streamline their financial records management. Easy-to-use program manages multi-financial tasks like stock quotes, customers/vendors records and income-expense details of the Company. Cost-effective program generates accurate and error-free accounting reports (like production report, sale report, purchase report and even profit-loss reports) to evaluate total business growth. Fully functional accounting program facilitates fast and easy management of entire day-to-day business transactions and generates computerized printable financial bills. Software, designed with friendly graphical interface, provides high quality reliable and cost-reasonable solution for handling the complex accounting records. Maintain multiple Company accounting records, income and expense details in easy to access computerized format. Efficiently manages Inventory records, Stock details, Voucher entries, Tax types, Profit/Loss records, Debit/Credit details etc. Maintains Company-Customer profile, Clients’ details, Vendor`s records and facilitates computerized report generation. Accurately prepares Balance sheets, Trial balance and Profit-Loss reports to evaluate the total business performance in any financial year. Provides user login and freeze date security features to secure your confidential financial data. Efficiently monitors and records the earning and expenditure details of the Company. 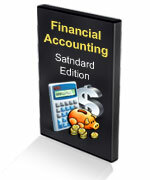 Advance option to generate accounting reports in PDF or Excel files formats. Maintain overall accounting and financial records at one place. Allows administrator to create, modify and delete multi user accounts. Provides GUI interface and easy to operate. Provide accounting records backup facility during common data loss cases. 30 days FREE trial software demo. No expert is required to operate the accounting software. Windows Server 2008, Windows Server 2003, Windows Server 2000 etc.